With enough production capability for a three-shift factory; ShopBot PRSalpha tools are our toughest; most sophisticated; gantry-based CNC routers. 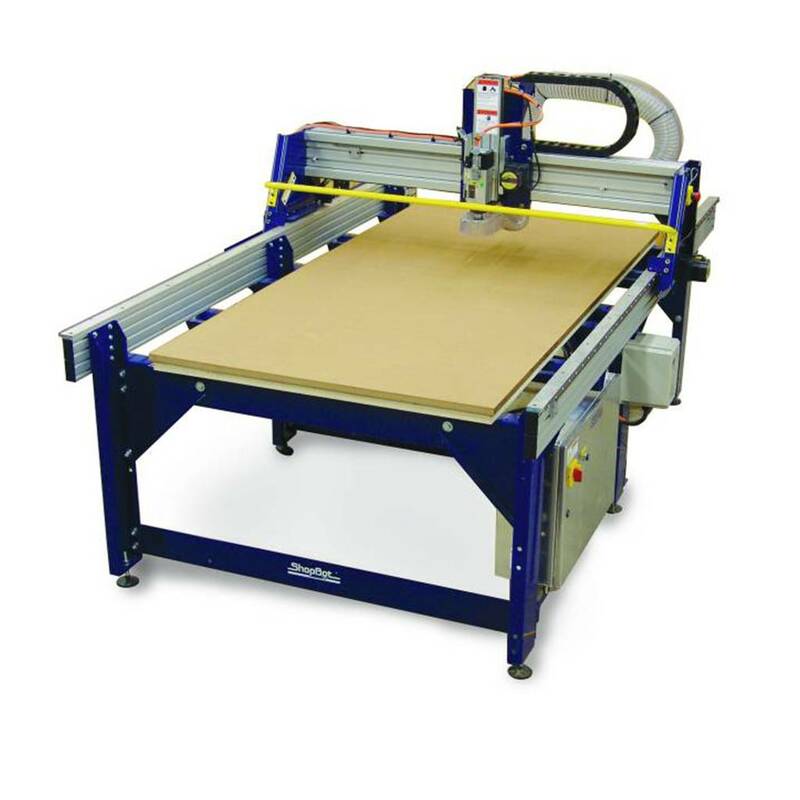 With enough production capability for a three-shift factory; ShopBot PRSalpha tools are our toughest; most sophisticated; gantry-based CNC routers. Using advanced technology for CNC cutting; drilling; carving and machining; the PRSalpha series tools deliver rapid transit speeds of 1800 inches per minute and cutting speeds of up to 600 inches per minute. 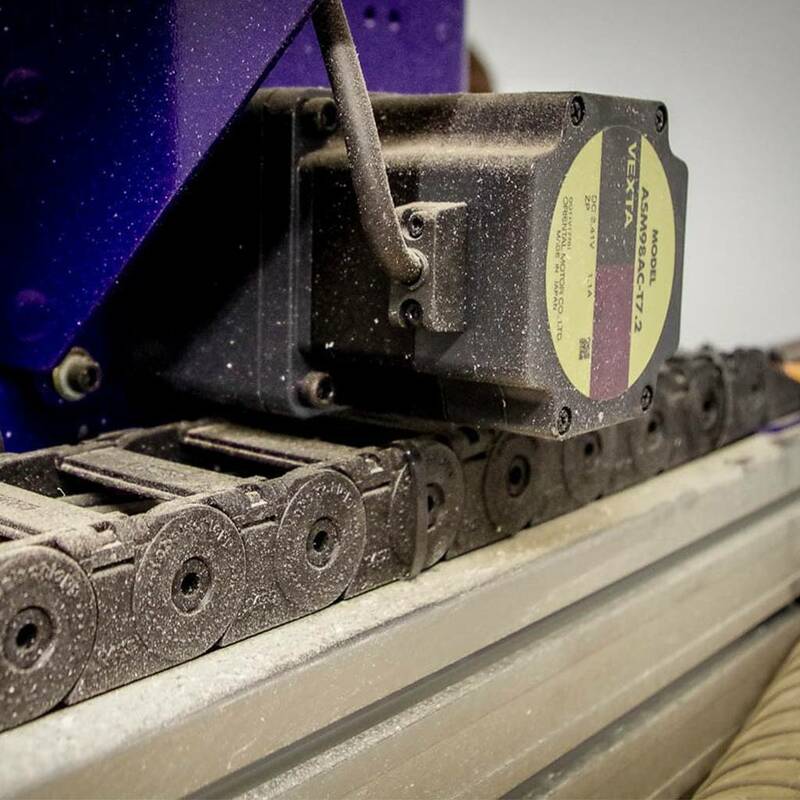 Easy to configure and re-configure; learn and use; the PRSalpha CNC delivers affordable; full-production performance in digital fabrication of wood; plastic; aluminum; and other materials. 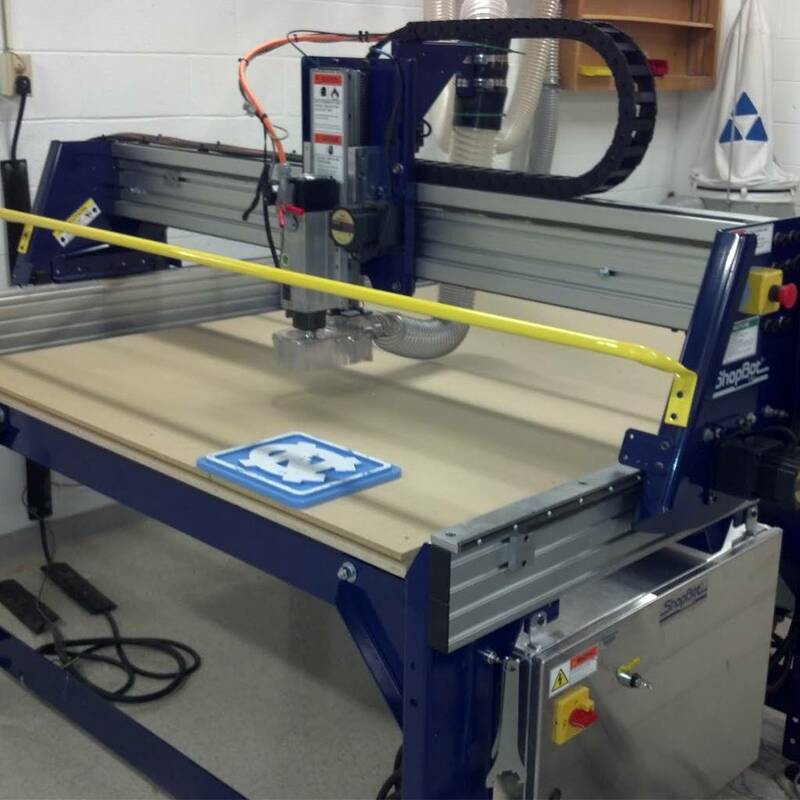 ShopBot builds CNC gantry tools in many sizes to suit the varying needs of manufacturers: 96 x 48; 96 x 60; 120 x 60; 144 x 60. Give us a call to discuss your production needs. We'll help you to choose the right tool to get the job done. Electrical: You will need to know about the electrical service to your shop before ordering because ShopBot Control Boxes and accessories such as routers/spindles and vacuum pumps are configured for specific types of service. PRSalpha Control Boxes must be wired to your electrical service by a licensed electrician. PRSalpha control box is UL certified. Router or Spindle: Control Boxes are also configured for either router or spindle. 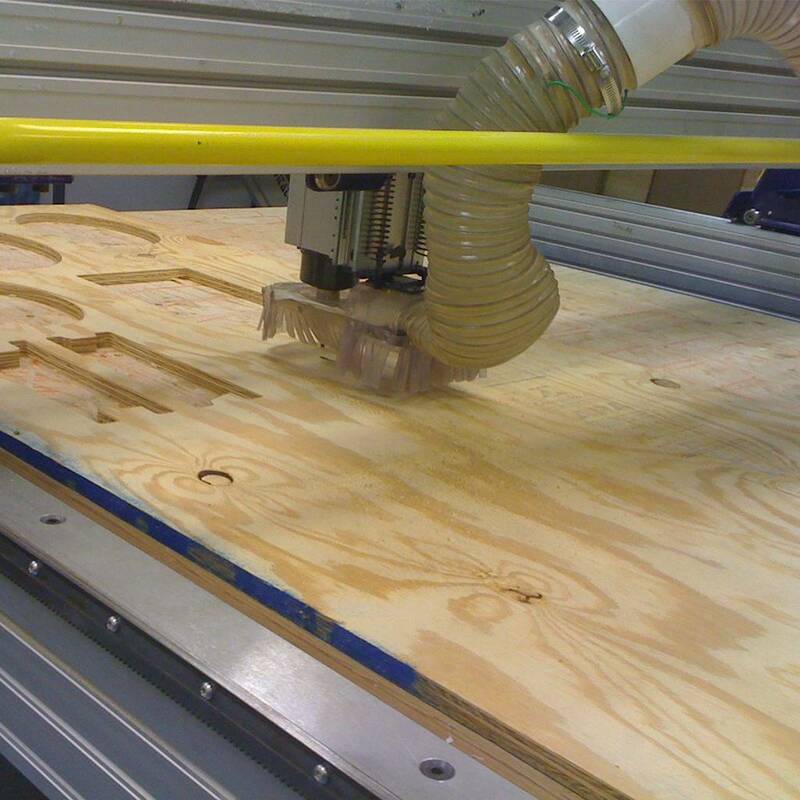 So you will need to specify your choice at the time you order your ShopBot. Give us a call for help with this decision. Shipping: ShopBots are shipped as four modules (Table; X rails; X car; Y-Z car) ready for straightforward set up. Shipments are crated and banded onto a single pallet and ShopBot will arrange shipment by truck to your shop or facility. Connecting the RSalpha needs the service of an electrician. Go to the website www.shopbottools.com or contact ShopBot for more information about wiring your ShopBot. The latest version of the ShopBot Control Software is always available here for free download. This is the software that runs ShopBot CNC Tools. With the ShopBot Control Software; you can enter individual commands to move the tool or run a ShopBot Part File; a cutting file created in a CAD/CAM program such as the ShopBot Design Software Suite; to cut out a part. Along with the ShopBot Control Software needed to run your ShopBot CNC tool; we are pleased to offer two powerful software programs to create CNC projects with each tool purchase. 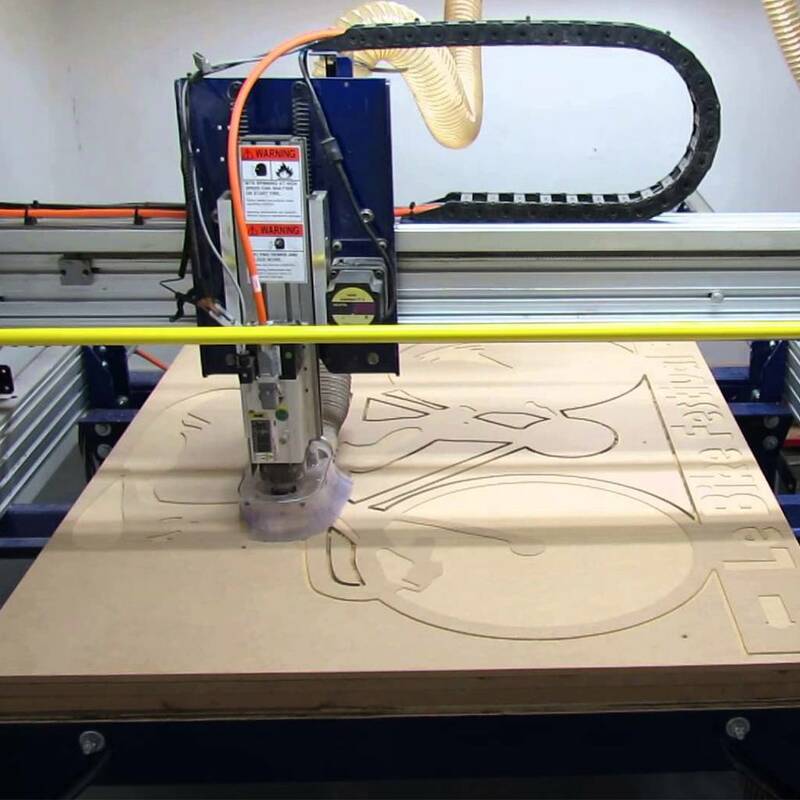 VCarve Pro V8.0 ShopBot Edition provides a powerful but intuitive software solution for cutting parts on a ShopBot CNC Router. There are tools for 2D design and calculation of 2D and 2.5D toolpaths and along with the ability to import and toolpath a single 3D model (STL; OBJ etc.). There is also support to import multiple Vectric Clip Art 3D models (V3M) to create 3D assemblies. Fusion 360 is a cloud-based 3D CAD/CAM tool for product development that combines industrial and mechanical design; collaboration; and machining in a single package. With Fusion 360 you can quickly iterate on design ideas with sculpting tools to explore form and modeling tools to create finishing features. Engineer your models to test fit and motion; create assemblies; photorealistic renderings; and animations. Fusion 360 also allows you to work in teams in a hybrid environment that harnesses the power of the cloud when necessary and uses local resources when it makes sense.